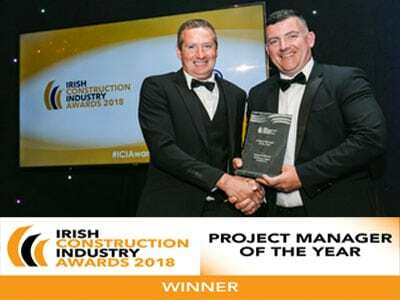 Congratulations to our very own George McKitterick who has won the prestigious award for Project Manager of the Year at the Construction Industry Awards 2018. ACB Group had two other nominations, Sub-Contractor of the Year and BIM Initiative of the Year. George is an integral part of our team and has been praised may time by our clients for his high quality of workmanship, leadership skills and can do attitude and we are delighted that he has got the recognition we feel he deserves at this level.